Have I mentioned that I adore Indian food, over and above any other? But the Indian kitchen is my spiritual home (even though I am not in the least bit Indian) and Indian cooking is my soul food. I love everything—everything!—that issues from the kitchens of this 5,000-year-old cuisine…from Kashmir in the North to Tamil Nadu in the South, and all the marvelous flavours and textures in-between. I’ve tried to teach myself to cook some of my favorite things, over the years, though I must confess that the subtleties of flavour and some of the traditional ingredients of the cuisine are lost on an outsider like me. But then I am not cooking to please an Indian husband (who would, no doubt, compare my skills to those of his mother), Indian mother or Indian mother-in-law, thank goodness! Kris doesn’t mind Indian food, but his favorite is Thai, and so, really, I cook for myself. I cook for myself because I delight in all aspects of Indian cooking, from shopping for the spices to the time and labour intensive processes of kneading doughs, grinding spices, grating and milking coconuts, sieving, churning, stirring bubbling chutneys for hours on end…as much as in the finished food. That said, I don’t dare claim any of my own recipes as authentically Indian or correct! I improvise a lot. I experiment. I substitute things to bring the Glycemic Index of a recipe down. I probably create a lot of unholy marriages between ingredients that Ayurvedic practitioners would shudder to read of. But the stuff I make is yummy (well, I think so, anyway), it brings me joy to make it and eat it, and—almost too good to be true—most of them have the Low GI rating that, so far, has kept my blood sugar within ‘normal person’ levels for two years straight. I’ve been making plain roti (a.k.a. chapatti) for a long, long time, but only very recently learned to make Parathas (also parantha or parauntha) from my lovely new co-worker Sabi. She and her family are Sikhs from Punjab, and are strictly vegetarian. There were no pictures of the day I visited Sabi at her home…I didn’t want to freak my new friend out by pulling a camera out and styling the food. She’s a very shy and simple woman, a devoted wife and mother, has been just a few years in Australia. 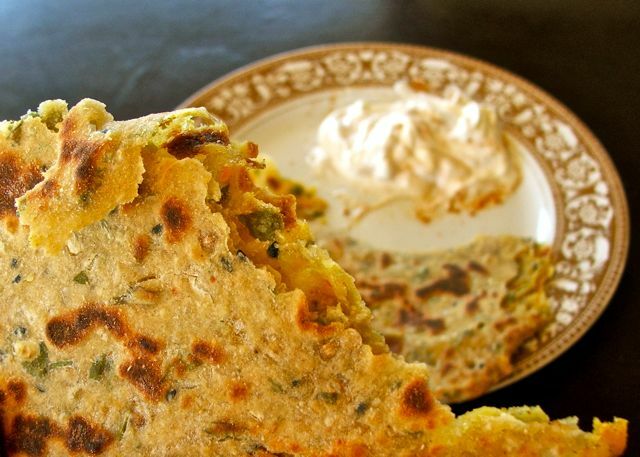 Parathas are a fabulous, flaky Indian flatbread cooked on a hot griddle. 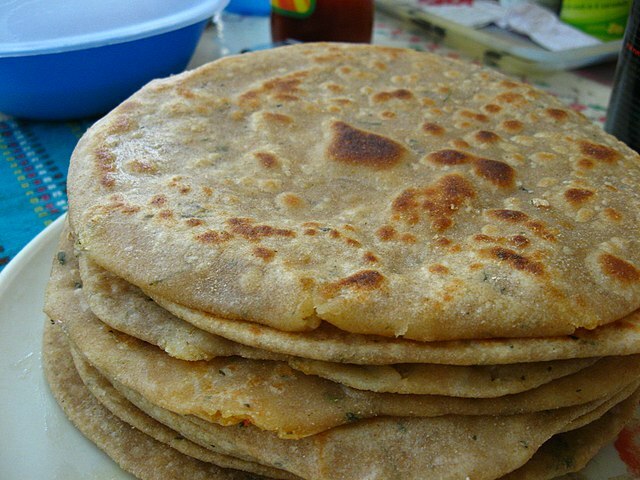 The flakiness is caused by trapping oil and/or oily pastes between layers of dough (so parathas are slightly less healthy than plain roti or chapattis, which are pretty much flour, dough, water, and a scant tablespoon of oil) but they are so delicious that they are worth the extra oil content! I use canola oil, for what it’s worth. 1/4 cup of rolled oats, only because I was experimenting the day I took the pictures…better just leave them out! In a mixing bowl, combine the flours and all the spices, herbs, seasonings in the picture above. Don’t forget the ginger and coriander, which I forgot to include in the photograph. Add warm water, a little at a time, and when the mix starts to look like a bowl of broken-up cauliflower lumps, drop the spatula and use your hands to knead the lumps together. Just because the mix looks dry doesn’t mean it is…kneading by hand will tell you, by feel, when the dough is of the right consistency (soft, but not sticky) Never dump all the water in at one time…I find that I never use up all of the water, and still my doughs so far have been too sticky to knead and roll with ease. So this tip comes from my experience of not following this tip! 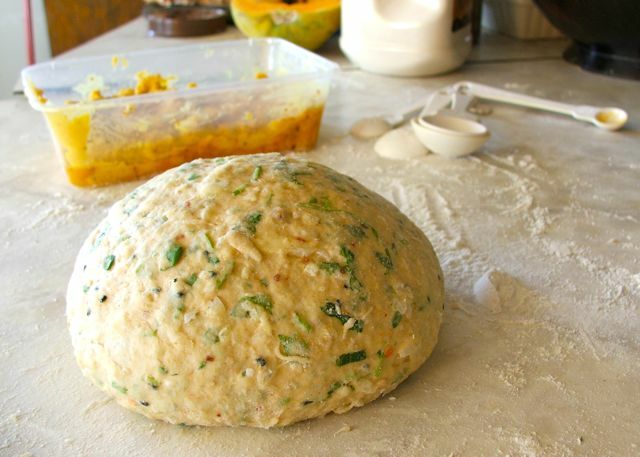 Once everything has come together, take the dough out of its bowl and knead by hand for a few minutes. Form into a ball, cover, and let rest for “at least 10 minutes”, as the various recipes say, though I find that leaving the dough for an hour, or even overnight in the fridge, makes it more elastic and less sticky. 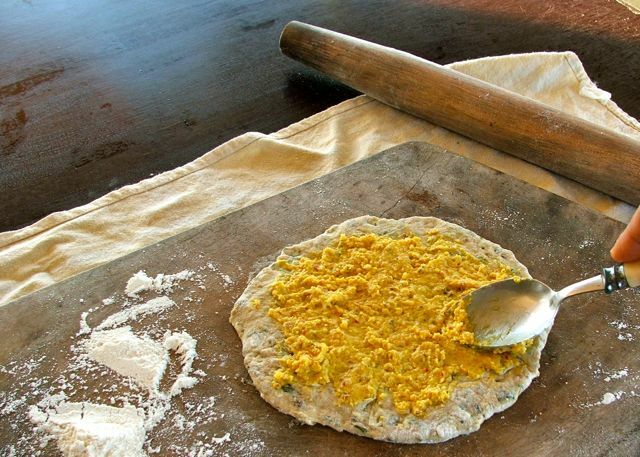 While the dough is resting, make the besan and dhal paste. 1 cup of cooked dhal…I used chana dhal, washed and soaked for a few hours in water, then boiled—with salt, a teaspoon of turmeric, and a piece of cinnamon bark—until cooked but not mushy). Drain well and let cool. Note: To make a very simple paratha, use just canola oil instead of the besan-and-dhal paste to create the layers. The process remains the same. 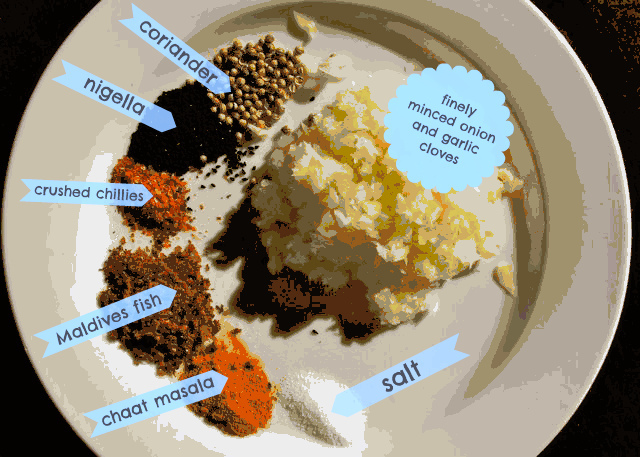 Into a food processor or blender throw together the cooked dhal, besan, spices, and salt. Pulse to a mush, adding oil until the paste is smooth and, theoretically, spreadable…though I keep mine fairly stiff, and it doesn’t spread easily at all. The the good thing about this is that I can use more of the paste than just a thin smear (I love dhal!) but I get less pasty mess running out of my bread when I roll it out. Whatever suits you, I say. Set a heavy-bottomed non-stick frying pan, or a griddle, or a thawa, onto low-medium heat. 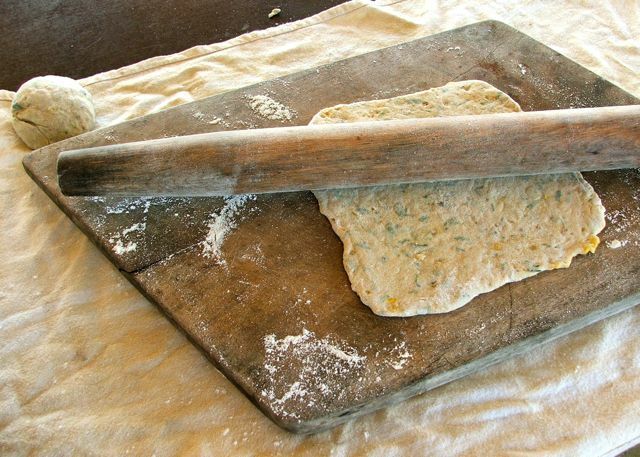 Divide the dough into 6 or 8 balls. 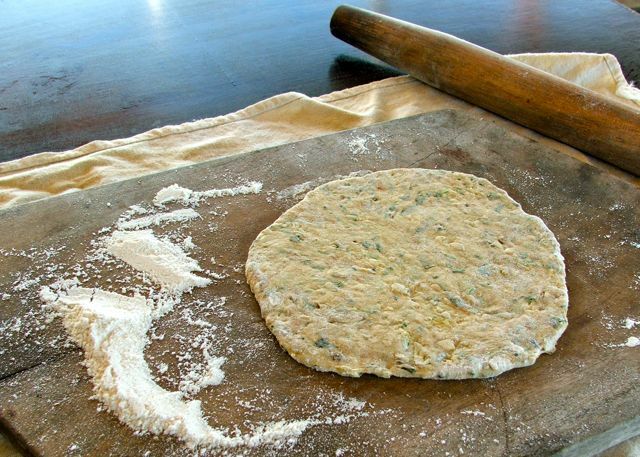 On an atta-dusted surface, roll out one ball of dough into a four-inch circle. Smear or spread (in my case this involves some softly delivered expletives and the messy use of my fingers…the spoon in the picture is for show, just so you know) the paste over the circle. and fold the remaining third up over the first. Dust the bundle, and then gently pat the square down a little with your hand to make it easier to roll. 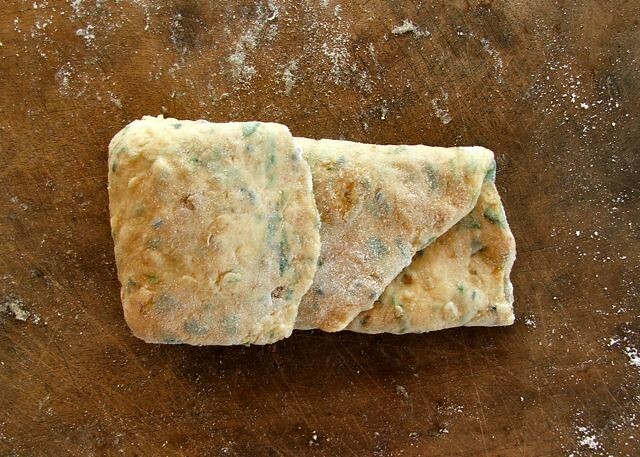 With a VERY LIGHT TOUCH, start rolling the square out into a flat bread. 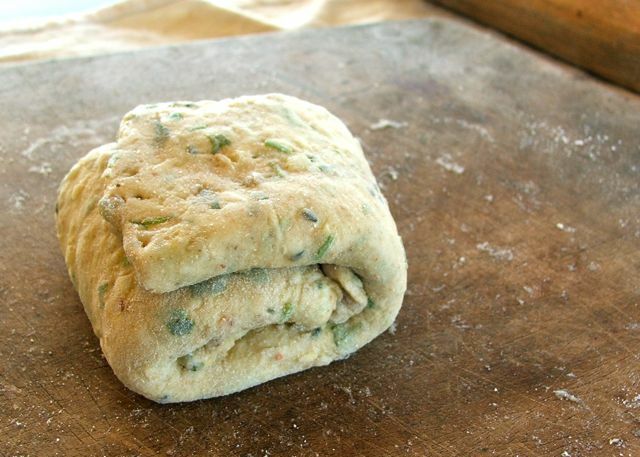 If you make small rolling movements from the center outwards, rotating the bread with each roll, you can get a circle. I usually don’t bother…I just make 90 degree turns and try to get a 7 or 8-inch square. More stretching can be done by picking the bread up and flipping it from one palm to the other…this actually does less damage than rolling. 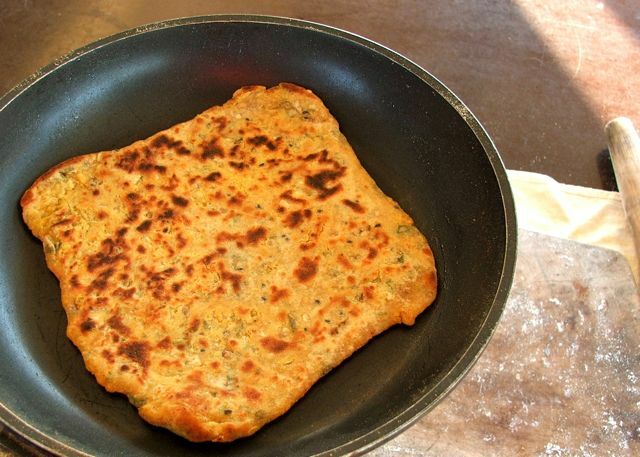 Flip the flat bread onto the hot, DRY griddle. On the griddle, let one side cook only slightly, about 30 or 40 seconds. Holding the griddle by its handle, slide a corner of the bread to the edge, where you can quickly pick the bread up and flip it over onto the other side. Quickly spread a teaspoon of canola oil over the cooked surface of the bread, letting the other side cook for about 30 seconds. Note: To cut down on oil and make this step even quicker, I use canola oil in a spray can and spray the surface of the bread. Nice and light! Flip the bread over again, and oil this surface, as well. Cook for 30 seconds…the surface of the bread should start undulating and moving as hot steam trapped between the dough layers pushes them apart and cooks them from the inside. AWESOME! Repeat the flipping action until both sides get spots of golden brown on them. Flip onto a plate and serve hot, with a dipping bowl of yoghurt dusted with chaat masala, and maybe some chutney or lemon pickle. I can’t believe my luck! Easy and cheap to make, flaky yet moist, spicy, stuffed with dhal or anything else I care to use, earthy and satisfying, plus 100% approved of by my doctor! 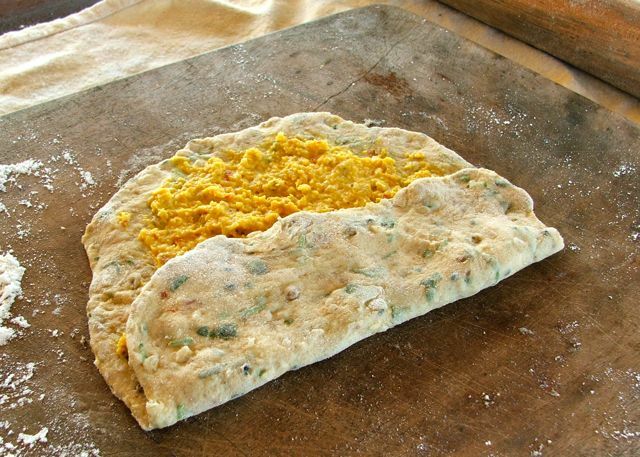 What makes this flatbread such a wonderful option for healthy eating? 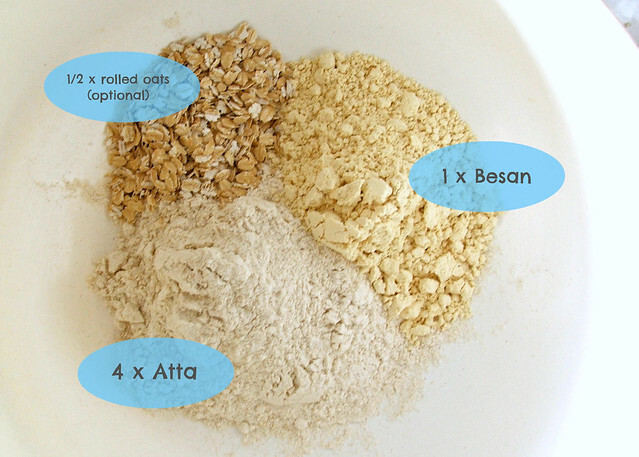 Atta flour is made from durum wheat (Triticum durum), the same ‘hard’ wheat used in making pasta, which is another beloved staple of those watching their blood sugar and weight. (You cannot imagine my excitement when I learned that atta and durum are one and the same thing…I used to make my own lasagna and fettuccine noodles from scratch, but gave it up because of the soft wheat flours that were all I could find in the Philippines to use. Even in Australia, durum wheat doesn’t just sit around, available to the public, on supermarket shelves…but every Indian grocery sells atta in 15 kg. sacks! Woot!) 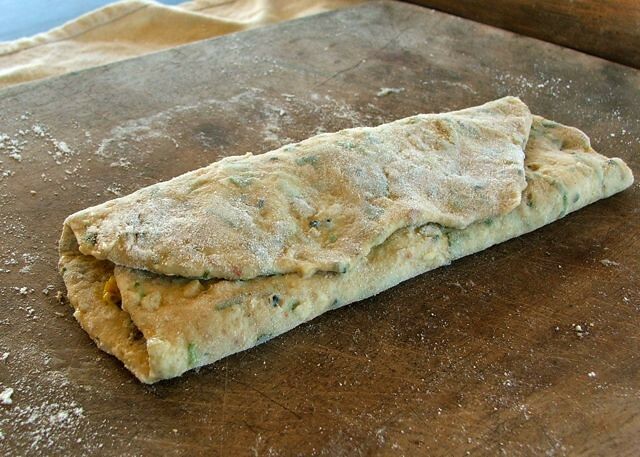 Durum also goes by the name bread flour, and winter wheat. It is extremely high in protein, yet lower in gluten (that glutinous web that enables leavened breads to trap air and rise) than the flour made from other wheat varieties. Besan, or chickpea flour, is also rated as having a low G.I., as are all other varieties of dhal—also known as pulses, lentils, peas or beans. Dhal (derives from the Sanskrit verb “to split”) is typically around 25% protein by weight, giving it a comparable protein content to meats. Dal is also high in Low Glycemic Index carbohydrates, whilst being virtually fat free. Dal is also rich in the B vitamins thiamine and folic acid as well as several minerals, notably iron and zinc. Thanx for linking my recipe in your blog. Your paratha looks really delicious and is new to me too. I will try it soon and let you know too!!!!!!!!! i live in pakistan, and besan dhal paratha (and other parathas) are very common here. and from the pictures im sure that you have made awesome parathas. very well done ! Oh, my, thank you! If you think so, then there may be hope for me in the paratha department! 😉 I am loving them, have them for breakfast nearly every morning, now. I will never get tired of them. 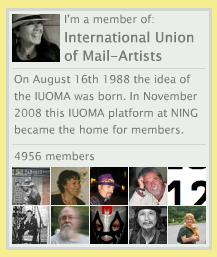 Thank you for visiting and commenting! Oh my goodness, Nat, those look DIVINE!!! Even though my body would not tolerate many of those ingredients and I know that good-n-well, I still found myself re-reading the post and drooling over the pictures several times ;-). Sorry, Glenda, for taunting you…must be so tough to have allergic reactions to such common things as grass seeds! 😦 Still, there’s more to life than food, it’s funny how worked up I can get over something, but if I had to live on rolled oats soaked in water, I would without complaints (and have)…when you cut out our privileged ability to pick, choose, and go all food-snobby about things like truffles or the provenance of our asparagus, food turns out to just be fuel for the body to stay fit and do what it has to do. I swing wildly between being crazy about food, and being ashamed that I can be such a snob when the body doesn’t need the fancy touches, and so many have no choice at all. A dilemma. Yes, it is a privilege to have food choices, and to also have enough food to not be hungry. Those are things I think of when I’m feeling sorry for myself for having such a restricted diet — that perspective does help me “snap out of it”. But darn if I don’t miss being able to eat a sandwich or a bowl of cereal or a buttered tortilla or other foods that can be prepared in a minute’s time and will keep you satisfied for hours!! But I hold out hope that my digestive tract will heal enough that I can add the non-gluten grasses back to my diet — hope is a wonderful thing =). Oh yum!!! I am going to try this! I also LOVE Indian food. My husband is Indian and likes only the food from his part of India, but I love it all (except the vinegary pickles). This looks soooooo goooood! Mm-Mmm…Good. I can’t wait to try this. Thanks for sharing it. Like you, I’m crazy about Indian food, but I haven’t made it at home simply because eating it out is a special pleasure. Luckily, there are a couple of very good and authentic restaurants nearby.